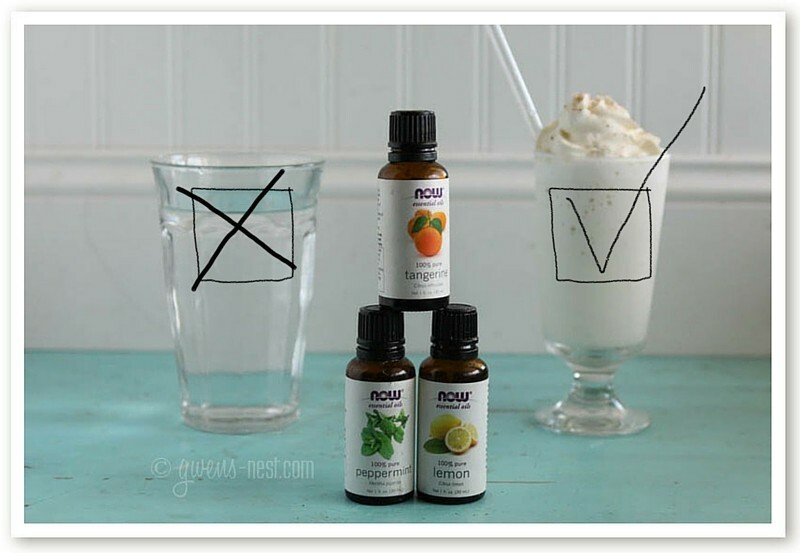 Essential oil safety is a SUPER hot topic right now, so I thought I’d share my thoughts and research on where I’m at with the topic of using essential oils as flavorings. You may notice that I talk about this in a few of my recipes, like Lemon Yogurt, Peppermint Milkshakes, and more. 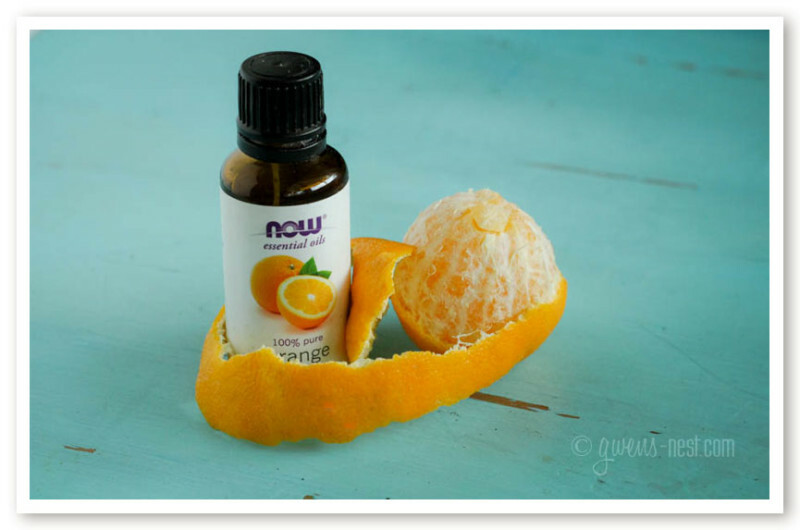 I use the NOW oils as food flavorings, and I’m going to share the research that I’ve found and where my own personal comfort level is on this topic. P.S. I don’t work for NOW or represent them in any way. They have no idea that I exist as far as I know. There are a number of good brands out there that do offer great quality unadulterated oils that are suitable for flavorings and aromatherapy uses. If you’re considering a brand, do your research as to how they source & test their oils. Make sure the company you purchase from is testing their oils with GC-MS (and has a report for each batch) and purchases their oils directly from a distiller; you’re very likely to get a high quality oil this way. If you’ve heard nasty things about the NOW quality of oils, then I’d encourage you to read up on their site and on third party testing sites. If you know of other reputable testing groups, please let me know in the comments…some of the popular ones are not necessarily trustworthy, unfortunately. 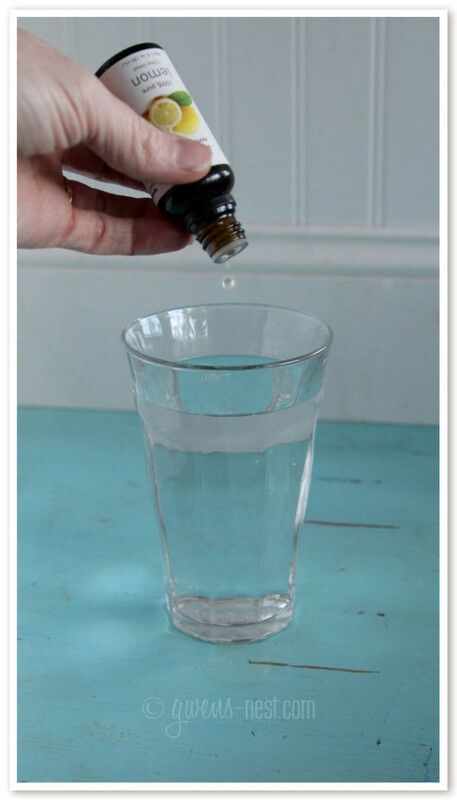 Essential Oil Ingestion- is it safe? There are *thousands* of oils, each one having a unique chemical footprint, and each one having specific dilution ratios and use parameters for use. Not every plant oil, no matter how pure, is safe to use internally. Not every plant oil, no matter how pure, is safe to use internally. Learning to use all of the different oils and how to use them for holistic health care takes a couple hundred plus hours of study. And I’ll just straight up tell you that I’m not qualified to practice aromatherapy on this level. Even with a great quality oil, and an oil that’s considered food safe (GRAS status), you can still do damage if you fail to consider dosage, dilution and frequency. And that varies by age and it can also vary from person to person depending on their liver health, genetics, and more. This is why it’s important to not approach essential oil use topically or internally casually or willy-nilly. Just because something is natural doesn’t mean that it’s safe to use and without side effects. In fact, many potent poisons are completely natural substances. Did you know that some plants (herbs) are so toxic that even the honey made from their nectar is poisonous? Yeah. There is such a fine line between *potent* medicine and poison…the difference is in the dose and duration. Isn’t that why we *love* essential oils for their distilled potency and power? Yes! Sometimes the line between beneficial and harmful is blurry and it takes us years to cross over it. Even if you know people who regularly consume essential oils internally with no apparent damage, that doesn’t mean it’s safe to do for you…for your family…for your kids. Certain chemicals compounds found even in completely pure & natural food safe essential oils can build up in the liver and cause stress to your organs, and worse…damage to your health long term. (Please read the comments on that post) And people often don’t even realize it until after the damage is done. I’m a BIG fan of essential oils, but I’m a bigger fan of being wise with natural remedies and doing your homework. But I digress….today, I want to talk less about ingestion for holistic or medical use, and mainly focus on using essential oils as flavorings in foods and drinks. But what do I MEAN by flavorings? I think that’s a REALLY important question. I only feel comfortable ingesting GRAS (food safe) oils that are fully dispersed in a recipe where emulsification is happening. Using a *properly diluted* amount of a food safe essential oil in a recipe with proteins, emulsifiers like egg or gums and starches, and preferably fats in it is where I feel very comfortable. Emulsification means that the oil is evenly distributed throughout the food or beverage. The tighter parameters that I’m comfortable with for my family exclude the most common way that people are using oils. I’d like to tell you why. I do NOT think it’s safe to add essential oils to water. Oil and water don’t mix, so adding a drop or two of essential oils simply creates a film or droplets of pure oil on top of the water. Ingesting by dropping it straight into water can expose your delicate mucous membranes to straight essential oils at thousands of times over the safety threshold of dilution for topical or internal use. That can be damaging to your mouth, esophagus, throat, stomach lining, etc. Using essential oils in water or just ingesting too much or too many on a daily basis can become a problem for liver health. Over time it can cause major problems internally, and you run the risk of developing sensitivity to oils where they over-activate your immune system. Like an allergy, once you develop sensitivity to an oil you can no longer use it. I’d also like to point out that this method of ingestion is not really about flavor- it’s usually touted as a health promoting daily protocol. Which honestly frightens me. 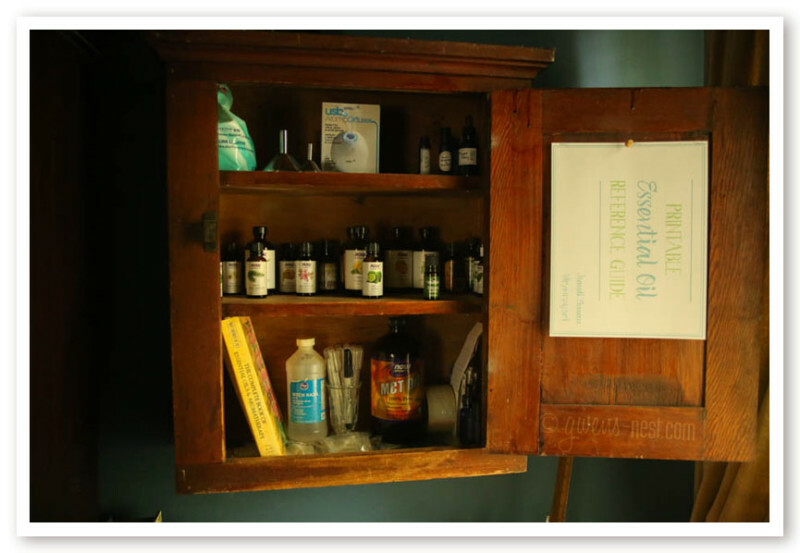 Ingesting oils is not always immediately dangerous, but if I were wanting to use essential oils internally for holistic health, I’d definitely consult with a certified aromatherapist first. Aromatherapists do recommend internal use but only for short time frames, and with a close eye on patient health during that time. You can read more about what the leading aromatherapy schools teach on the topic of ingestion in that link. 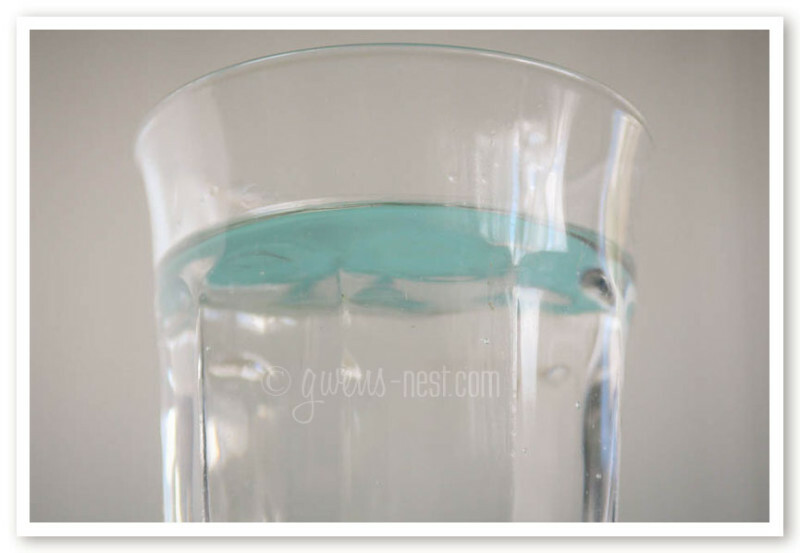 When I did the photos for this post, I realized that lemon oil disperses across the surface of the water in such a thin sheen that you can barely detect it visually. But the scent is remarkably strong. Yes, lemon is a food safe oil, but the dilution ratios are ignored, there is no emulsification or distribution happening in this scenario. And there are documented accounts of elevated liver enzymes from this practice. If you enjoy lemon flavored water, please just use lemon juice or slices instead. So IS it safe to use essential oils as flavorings, like I do in my recipes? 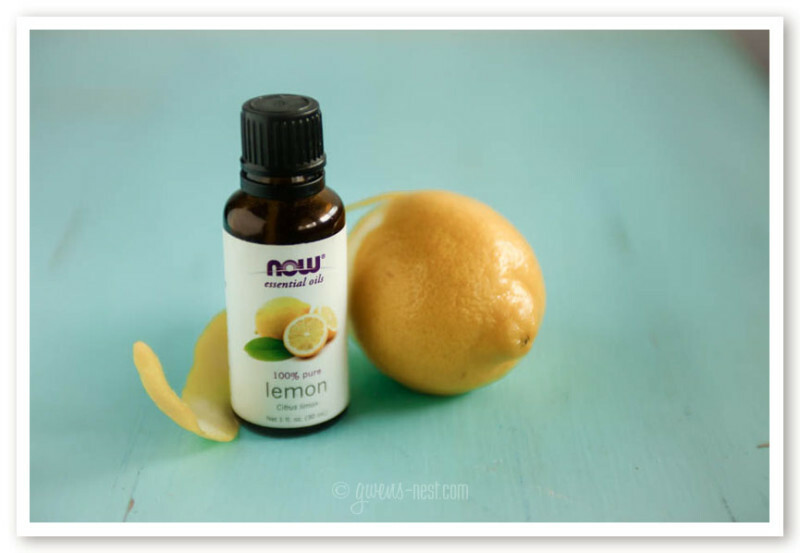 For instance, I talk about using lemon essential oil here in my lemon yogurt recipe as a flavoring. Is THAT safe? First, I go back the BIG issue of seeing each oil as a unique compound: I research each essential oil individually prior to using it as a flavoring. The best quality citrus oils are pure cold pressed, because heat damages the flavor. And the FLAVOR…they smell like heaven. What about pesticides? Choose a reputable company that tests each batch of oil to be sure that their lemons don’t have anything funky sprayed on them. Knowing that my lemon oil passed this test, I trust the purity of this over my grocery store zest any day. Choosing oils that are Generally Recognized As Safe by the FDA for food products/additives is a great starting point, but it’s ONLY the starting point. Next you need to learn the safe dilution ratio for the oil you’re using. Certain essential oils have been used safely for long periods of time in food and beverages in the correct ratios. And by correct ratios, I mean parts per million. (ppm) In these cases, the oils are fully dispersed in the recipe, and a range of safe dilution ratios is followed for each unique oil and food or beverage type. 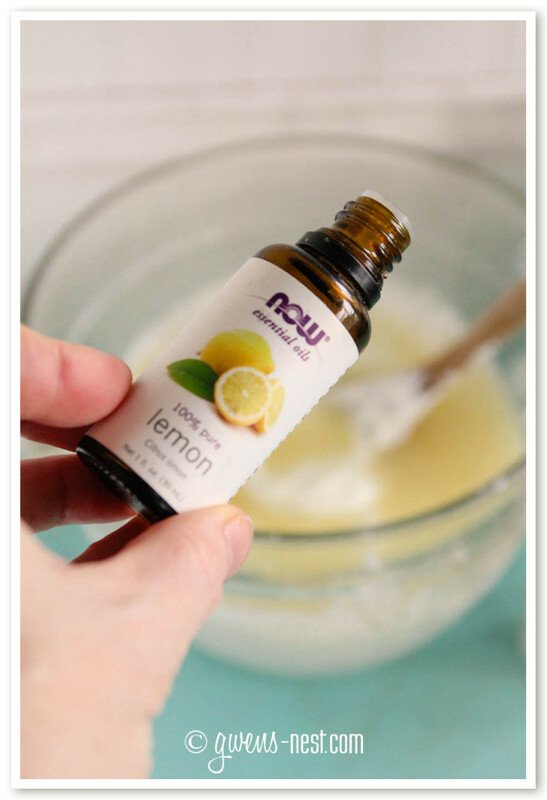 Let’s envision parts per million: if you had 1 million drops of lemon yogurt, you’d have a little over 13 1/4 quarts of yogurt, and you’d add the corresponding number of lemon essential oil drops to the giant vat as you mixed. This is how essential oils are used in the food and beverage industry. According to the Handbook of Flavor Ingredients by Dr. George A. Burdock, Ph.D, cold pressed lemon oil is safe to use as a flavoring agent in amounts up to 3000 ppm*. I’m only using one quart of yogurt in my recipe, so if I figured that right with this tool, that would be a maximum safe limit of 68 drops. I think that would be a mite too strong even for my lemon loving lips, so I’m going to stick with my 4-6 drop ratio, which is WELL under the safe limit for food applications. In the case of lemon yogurt, there is a good amount of protein, and the recipe is stirred thoroughly to make sure the oil is evenly distributed. Since I’m not eating this daily in large quantities, and since I’m well below the dilution ratio, I feel very comfortable with this type of use…this is IMO responsible use as a flavoring agent. Quality food safe essential oil in food that’s evenly distributed through the mix, and in proper food safe dilution? Bing-bing! So that’s my research and what I’m comfortable with as far as using oils internally. I hope this post helped provide some food for thought, no matter where you stand on the issue of ingestion, and that you’ll take some time to read through the posts I’ve linked to (and the comments!) and continue to research to make your best decision for your family. *please note: different food types have different dilution ratios. 3000 ppm is the “all other” category since this recipe didn’t fit into the gelatin recipes, baked goods, candies, ices, non-alcoholic drinks, or alcoholic drink categories provided. Please do your own thorough research on what is safe for using essential oils in foods. In addition to playing it safe, please pay special attention to your own body’s signals about whether a food is a good fit for you or not. P.S. If anyone is looking for a good birthday present, this nerd-girl would love a copy of the Handbook of Flavor Ingredients. 🙂 The Google book preview doesn’t show me all of the stuff I want to know. 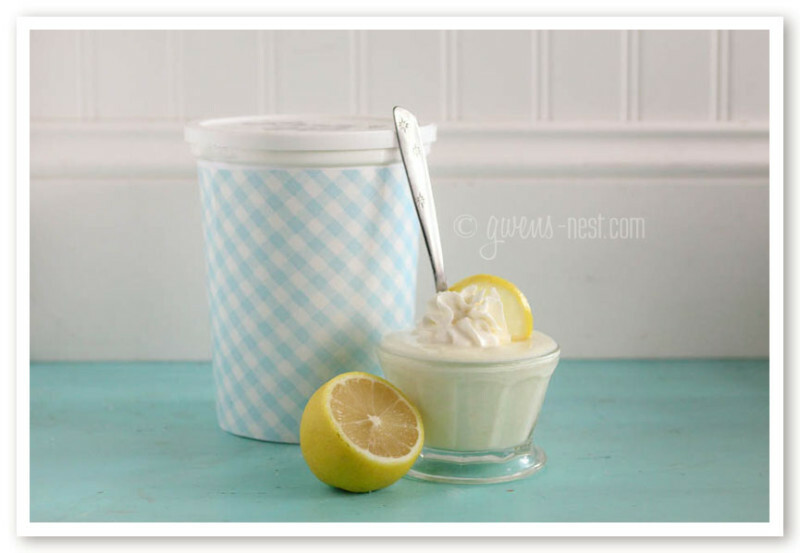 « Lemon Yogurt Recipe- Family Size! Thank you for sharing your insightful research. Thank you for sharing. I found out the hard way to stop ingesting oils in water. 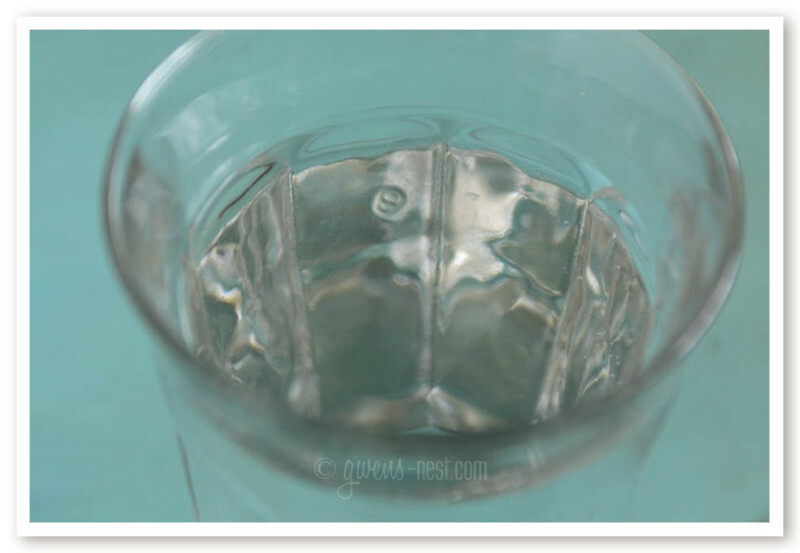 I loved drinking my water flavored with lemon oil then I started having breathing issues and throat issues. I went to the doc a few times and they didn’t know what was wrong. 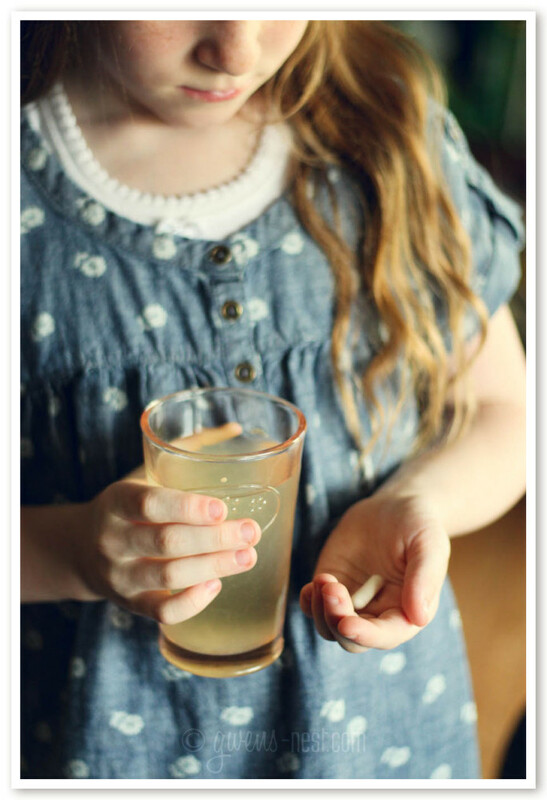 Then I stopped putting the oils in my water and voila – no breathing issues or throat issues. It’s amazing how companies say it’s safe to put in water. Thanks again! 🙂 I love your blog. Oh goodness! So glad you figured out what was causing it. Thank You for your insightful article. I love essential oils. 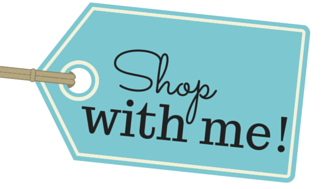 I use to use DoTerra, which is absolutely wonderful but a little pricey. I have been using NOW lately and they are great. We have just recently launched an online store that sells essential oil related products, not the oil themselves and your articles and website is fantastic. You will definitely be a go to source. Thank You! Thanks, Krystal! Best wishes on your new endeavor! My father, a chemist and manager of the analytical labs for a major company in the US until he retired twenty years ago had this definition of poison: “Too much.” Too much of anything can become a poison, you just have to know how much is too much. In the case of essential oils, “too much” can be defined by droplets. After reading the MSDS (Manufacturer’s Safety Data Sheets) for various brands of essential oils, I decided that essential oils would not be part of our life. The risk of “too much” is too great. When I hear of parents letting their children dispense essential oils to themselves on their own perceived as-needed basis if they have a sore throat or cold, I do get very alarmed. And yet sellers of essential oils promote this very action. So, no essential oils will ever be found in our house. Question…what about using extracts instead of oils? What exactly are the differences between the two? Interesting article. Thanks! an extract may use a tiny amount of oil or other flavoring added to a base of alcohol or glycerin. 🙂 You use a larger amount…usually a few teaspoons of extract is equivalent to one drop of oil. Thank you. 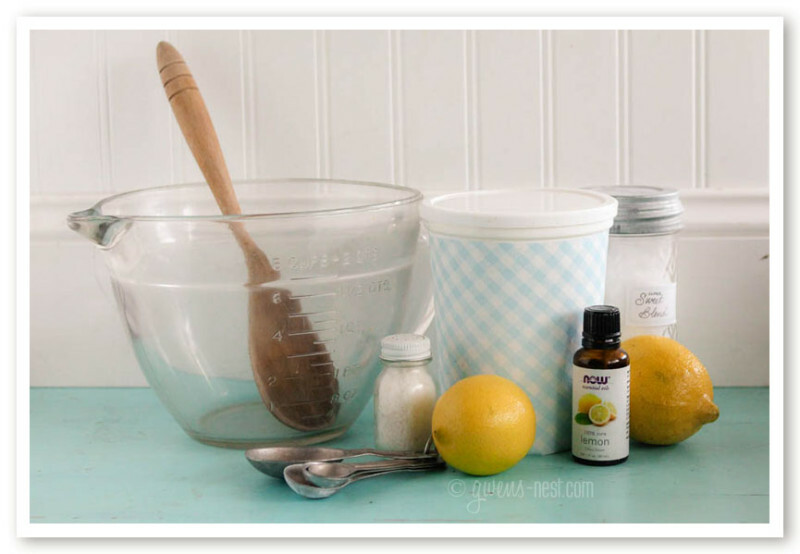 I’m going to add a micro amount of lemon oil to flavor my homemade toothpaste recipe. Thanks for such a well written post! You braved the issue of EO safety and did so very thoughtfully . You said we could mention other EOs we use and I have to highly recommend checking out PlantTherapy. They are very safety conscious and do publish testing results for all batches. They have many certified aromatherapists available for questions and have a great FB page: SafeEssentialOilRecipes (I’m not connected in any way…just a happy customer!) Thanks again, Gwen!